“It took over a year to find the cause of our even heating problem – and less than a day to fix it!” That’s what Mary Martha Hails, the facility manager at St. Albans Church told me when I asked her about the Aeroseal duct sealing work that was just completed.“We were all highly skeptical that duct leaks could be responsible for the issues we were having with the (new HVAC) system and that this new duct sealing technology could solve the problem. 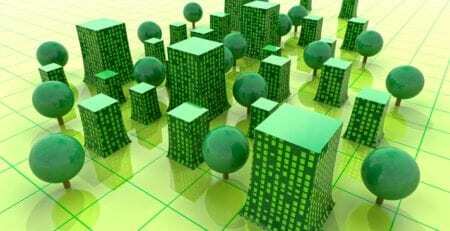 We were wrong on both accounts,” said Daniel Carley, the project manager. 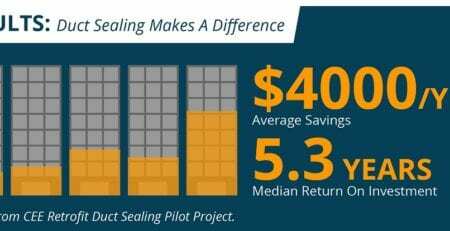 Aeroseal proved to be the fastest, easiest and least expensive solution. It was a project saver. 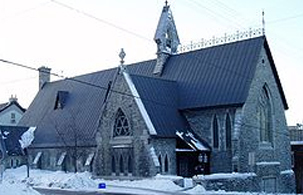 Project Managers: Dolyn Developments Inc.
St. Alban’s Anglican Church, the oldest church in Ottawa, Canada fixes HVAC issues with duct sealing. St. Albans is a 145 year-old stone building and the oldest church in Ottawa. 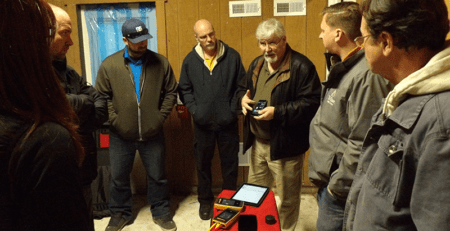 It recently went through a major renovation that included turning the basement from a storage room into a large facility for the area’s homeless. After all the work was done, the new HVAC system was turned on and tested. Unfortunately the newly installed energy recovery ventilation (ERV)) unit wasn’t able to draw enough air into the intake side or blow out enough air on the other end – even when the unit was turned up all the way. And that meant the basement wasn’t getting the heat it needed and the ventilation wasn’t strong enough to draw air out of the newly built kitchen or shower area. Not good. For more than a year, the engineers on the project tried everything to get it to work properly. Finally, someone suggested that perhaps the problem was due to leaks in the newly installed ductwork. If that were the case, it would mean tearing down all the new walls to get to the ducts and manually seal them…or they could use Aeroseal. 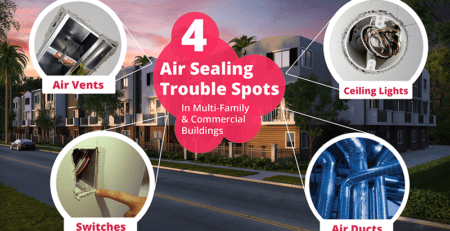 Luckily, someone had heard about this new game-changing duct sealing technology out of Lawrence Berkeley National Laboratory. 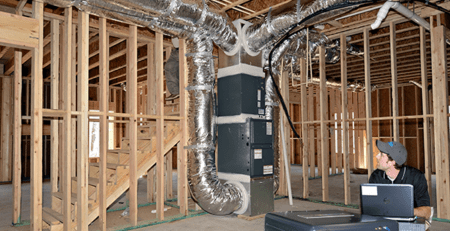 The upshot…it took the Aeroseal team just a matter of a few hours to seal the entire duct system – without having to disrupt any of the new construction. 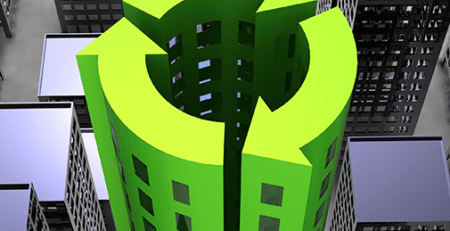 Leakage was reduced by 92% and the ERV system that wouldn’t work properly at when turned all the way up, is now generating 20% more air than needed at half its power. Yes, Aeroseal can.